Supermarkets, Pubs, Restaurants, Educational Properties etc. Services Contractors for Commercial Property Managers, Estate Management, Private Residential Companies and New House Builders. LawN & Border have been providing the highest quality of Property and Estate Management Services to Commercial Businesses and Companies since 2002. 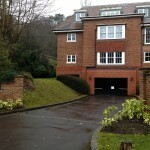 Not only do we maintain gardens and grounds for a wide variety of customers, we are one of the few companies in the Surrey area that provide cleaning services too. So, what do we do, who do we do it for and where do we do it? 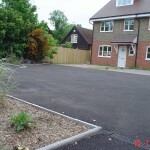 We can maintain gardens for a wide variety of properties, from single blocks to whole estates. We work directly with Commercial Property Managers as well as Private Residential Companies and we have been designing and building show gardens for new New House Builders since 2004. As an addition, we also maintain forecourts and grounds for Commercial Units, such as pubs, out-of-town retail stores, etc. In addition, there are a number of other services we can offer, including Landscaping, fencing and others that you find listed HERE. There are many other services that we offer, most of which arise during our business partnership with companies such as yourselves. 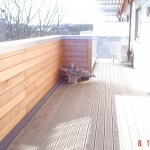 We cover most aspects of the day-to-day running of gardens and roadways of a housing estate or the more restricted zones of industrial units and gardens of a pub or outdoor restaurant. To make the daily running of your Property management business more simple, we offer most of the services you need to keep your company and your customers happy, so that they stay as long term customers in the years to come. After all, once we take over the looking after of your needs, we become your representatives to customers or residents and the impression we give, reflects directly on you and how you run your business. This is why we have maintained long term relationships with almost all of our commercial estate customers since 2004. In fact, the only contracts that we have not continued, are those where the Primary employer has moved away or the business has sold or been absorbed into another company.